Ready to sew quilted back onto bordered front piece. 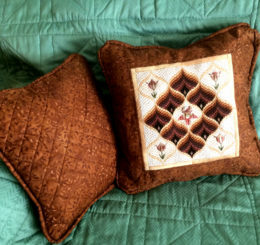 Back of pillow with a quilted gridline design. 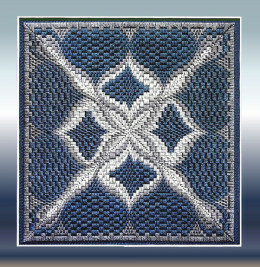 Quilting a grid design using a regular pressure foot or a walking pressure foot with rod guide. 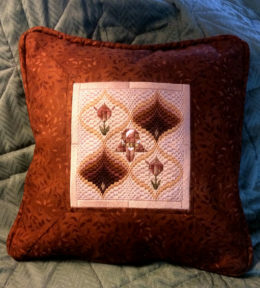 Tulips and Pomegranates, 6 by 6.25-inch square, which for discussion I am calling a 6-inch square. Click any of these photos to see larger images. 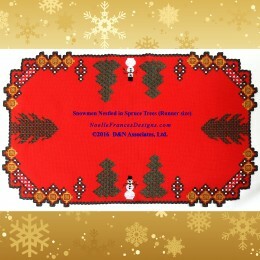 The below discussion is for counted embroidery. 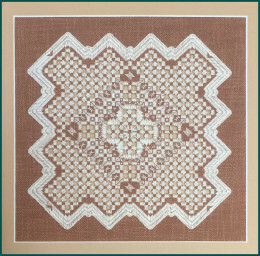 The two below links discuss purchasing fabric. 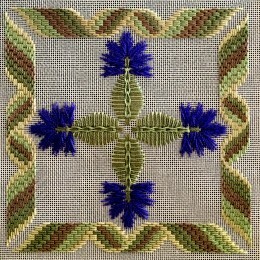 If you are new to purchasing embroidery fabric or new to setting up an embroidery project I suggest you read both of these blog pages.